Hello Alexandra and Mee And The Band! First, thank you for submitting your song and seeking my opinion. “Legacy Of Love!” It’s a little slow for me but it does showcase your vocals. You are talented. I checked your website and I really enjoyed your visual direction and creativity. Your branding and logo looks great. Other artists I think about when I listen (I don’t like comparing artists to other artists) are Portishead, Imogen Heap, Sia, and Dido. Your voice could do anything. 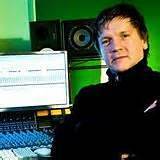 Thanks to Simon Gogerly who worked tirelessly on mixing and co producing the first 2 songs to be promoted, TO DO LIST and LEGACY OF LOVE, we were now ready to polish the tracks and have them mastered. Where else no less than ABBEY RD STUDIOS! It was an honour to have these favourite tracks polished and treated with great skill and care by Miles Showell, who’s recent artists include: Underworld, Jessie J, Andy Burrows, Disclosure, Eric Clapton, Faithless, The Staves, Tracey Thorn, CeeLo Green, Marcus Miller, The Who, Lana Del Rey, Doves, Andrew Bayer, The Sugababes and Ed Harcourt. What an honour to be added to his extensive list. All in all it was a lovely day out, with a first rate tour – ‘Thank you Lucy’ it made the visit extra special. I’m such a lucky putz. Leaving the studios that day, I had the biggest grin on my face, I enjoyed the traffic and daydreamed about my next visit, when we will master the next 2 songs that Simon is currently working on, SUPER POWER and FEATHER UP THERE. Thanks guys for a fabulous day, end result, so worth the effort. Exciting and promising start to 2015! Hot shot Producer Mixing Engineer extraordinaire! Check out this link to see his mind blowingly impressive discography then you’ll understand why we’re so excited! In the meantime watch us closely for gig dates in 2015, as Mee Music delivers it’s songs through Gypsy Jazz! There are new members to the band, this means a new sound – same songs, same Mee, new and exciting fusion! Watch our youtube page for video footage of the new mixing pot of musicians. This January will deliver a few visual treats as we work creatively with Mr Gani Naylor, master of feel good films! See for yourselves why we are so honoured and inspired to work with Gani, by following these links for an amuse bouche. who will be advising us on style for these projects! So expect some swanky new looks as she dresses and blesses with her magic touch! All in all you can imagine how thrilled we are to deliver this news to you! If this is only January, imagine what the rest of the year has in store for us! Oh my goodness!!! We’re so excited, we recently heard that BBC Introducing is going to play Jump Ship on tonight’s show!!! Please tell all of your friends and share the word, the love and the social media madness!!! buzzers before the song ended. universe (Crawley) to uncover this year’s hidden gems and scorching talents. Shaker, Jimmy Page, Amy Winehouse and Sting). (blues harp, guitar, doghouse bass, mandolin, washboard and kazoo). ‘Let’s Get Wasted’). As I understand it, they played ‘Jump’ and he jumped. the message from Zoe that he’s late for his tea. 4 weeks and counting – we’re nearly there! CAREERING INTO 40 MY MUM’S A POP STAR!